There are plenty of reasons to despair in the modern world — especially in Hollywood — but every now and then, there’s a burst of truth, beauty and goodness. Acting as host was Patrick Coffin, the former host of “Catholic Answers Live” on Immaculate Heart Radio (who’s in the process of launching a new podcast). The enthusiasm and joy of the schoolchildren was beautiful and filled me with hope. In a world that is increasingly divided and disunified, this morning’s event showcased the beauty of community. The play about Mother Teresa’s life reminded all of us about the simple call to do small things with great love. Mother Teresa was canonized by the Catholic Church last month and now joins the communion of saints in a special way, interceding on our behalf. She is an example of how we are called to love one another regardless of race, creed or beliefs. Bishop Barron spoke about one of the newest saints to be canonized – Mexican Saint Jose Sanchez del Rio – who was 14 when he was tortured and martyred for not renouncing Christ. Bishop Barron asked the kids in the audience which ones were 14 years old. Many of them raised their hands in enthusiasm, and you could feel the energy in the room. “What if Christ could harness all of this energy, we would set the world on fire!” Bishop Barron exclaimed. Annunciation and moved through the life of Jesus and Mary through the Crucifixion, Resurrection and coronation of Mary as Queen of Heaven. The dancers beautifully showed the connection between Christ and the dignity of every human person. In the middle of the program, Archbishop Gomez entered, holding a Monstrance, carrying the Blessed Sacrament for a time of prayer called Adoration, ending with Benediction. The monstrance is what holds the Host, the circular disk that is made into the body of Christ during Mass. Adoration is a time to stop and adore God, to acknowledge that God is, and to ask for His love and mercy. The loud and wild auditorium full of enthusiastic 7th-12th graders quieted down and entered into this time of prayer. “Prayer is simply a conversation with God — just talking to him,” said Archbishop Gomez. During the Latin chant, “O Salutaris Hostia,” sung by Genevieve Grimm and her choir, there was a palpable prayerfulness that transcended the room. These children experienced something very natural – the desire to pray and be close to God. 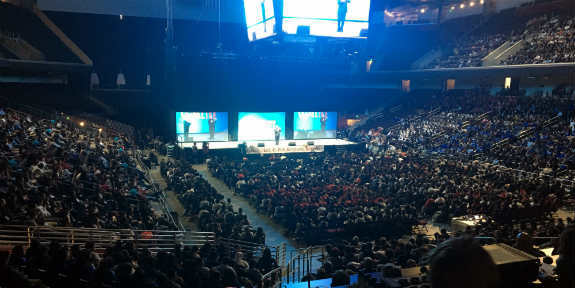 And yet, something very unusual in the daily life of a student – encountering God with thousands of other young people. As I looked around, I found such hopefulness. Amidst the temptations to pessimism and the pervasiveness of cynicism, there was such hope in this event. From the young adults leading the events to the schoolchildren who attended, our Church is ever growing and ever full of hope! The program ended with Thomas Quackenbush, a teacher from St. Monica Academy, leading the crowd in singing O Happy Day! 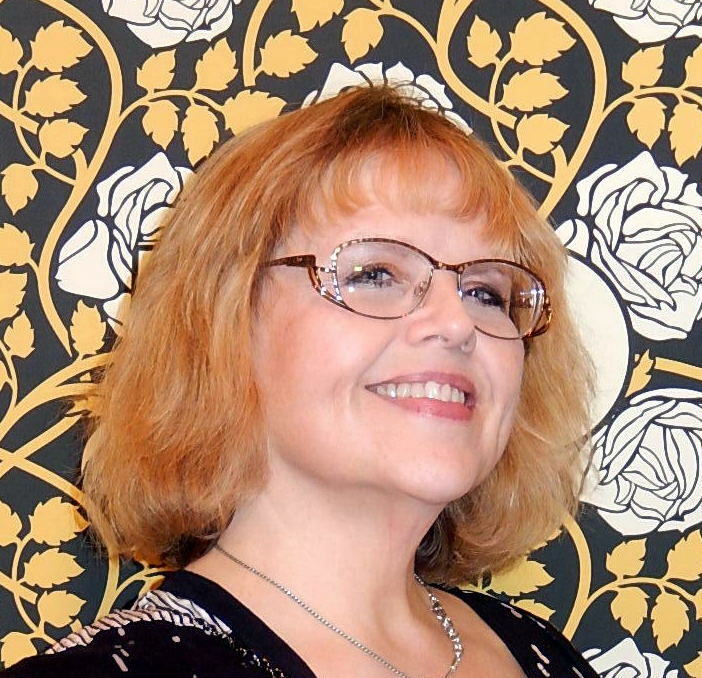 Faith in Horror: What Good Can Come Out of Being Scared? It’s an irony that some of the most positive portrayals of the Catholic Church — whose major mission is to spread Christ’s Gospel of peace, love and sacrifice — is in the horror genre, especially when the Church is going up against ultimate evil. I always joke, when Satan and his minions are threatening to sweep over the face of the Earth, Hollywood always goes for a priest. All of this could be just a case of visual shorthand, since we have the Latin, the outfits, the rituals, etc., that make for good visual storytelling. But it’s also a kind of compliment, even if it’s a backhanded one, in that Hollywood takes our connection to God seriously enough to portray us as the last bastion against supernatural evil. 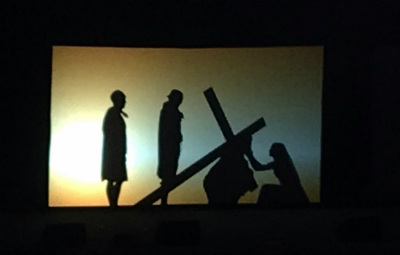 In an entertainment world where true faith is often treated as a superstition or a joke, the power of the Cross against demons still has great appeal for the audience. Of course, not all horror movies have Catholic priests as protagonists, and Catholics enjoy scary movies as much as anyone. So, how should we think about them? How far is too far? 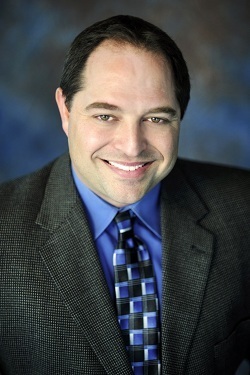 Family Theater Productions’ own Senior Producer, Tony Sands recently took part in a panel discussion sponsored by Bel-Air Presbyterian, a Protestant megachurch in the L.A. area. The wide-ranging discussions cover many aspects of the horror genre and how it relates to faith. Click here to watch the talk in segments. The film is meditating on two great truths. First, it shows how the young priest moved, slowly and painfully, from a cramped rationalism to a keen sense of a dimension that transcends our ordinary experience. It demonstrates how he came to appreciate the properly supernatural and to understand how his priesthood relates him precisely to that realm. 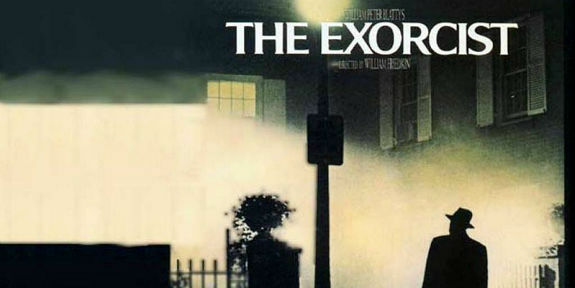 I believe, by the way, that the persistent popularity of the genre of the exorcism film is largely a function of this clear communication of the reality of the transcendent realm, especially during our time when an ideological secularism holds sway. In our guts, we know that there is something “more,” and stories about demonic possession give that intuition vivid confirmation. Secondly, “The Exorcist” shows that the mission of a priest finds its fullest expression in the willingness to sacrifice one’s life for the good of the other. Both priests died in battle, defending a little girl whom they barely knew but who had been entrusted to their care. The very last scene of the film is arresting. As Regan and her mother are pulling away in a car, happily leaving the place where they had endured so much suffering, the girl spots a priest in a Roman collar. She asks the driver to stop, and she runs out, throws her arms around the priest and kisses him. It was her tribute to the men who had saved her. Like any other movie genre, nobody likes everything. Personally, I don’t enjoy slasher films or overly gory films, preferring to stay with psychological thrillers and, of course, the “Catholic horror” genre, if you will, including “The Omen” movies, “Stigmata,” “The Exorcist” and the like. Everyone should know what he or she can tolerate, and if there’s doubt about the spiritual impact of a movie, either leave it alone or discuss it with a priest or spiritual director. The argument can be made, as is discussed in the videos, that the glamour of Satan and of evil in general can be overdone in horror films. That is certainly true and must be guarded against. But when you see a priest, pushed to the limits of his mental, physical, psychological and spiritual abilities, standing with nothing but the Cross and his faith against the demonic — well, there’s hardly a better advertisement for the Truth of the Faith than that. Image: “The Exorcist,” courtesy Warner Bros.
Is Bishop Barron Planning to Evangelize Hollywood? 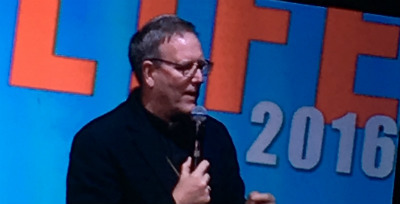 Bishop Robert Barron is, along with EWTN founder Mother Angelica, the modern successor to Archbishop Fulton Sheen in the title of America’s greatest Catholic media evangelist. In between, he’s produced many articles and videos, and done innumerable lectures — and now he’s added all the duties of a Los Angeles auxiliary bishop, including confirming youngsters into the Faith. In the secular world, people usually lobby for promotions, or, at least, the subject is brought up with them at some point. Not so, in the Catholic Church. 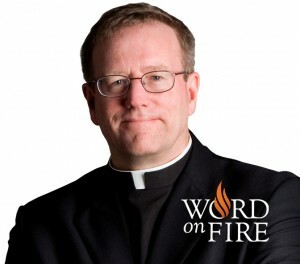 Not long ago, Robert Barron, Catholic media star, priest of the Archdiocese of Chicago and rector of its Mundelein Seminary, got a call. “I was in my room on a lazy Sunday afternoon,” he said. “I had finished Mass, and I was back in my room, watching golf. This phone call comes from the apostolic nuncio, [Archbishop Carlo Maria] Viagano. “I knew exactly what it meant — that’s the only reason he calls people. I knew it what it meant but I was really surprised by Los Angeles. That was nowhere even vaguely on my radar screen, because the whole bishop thing wasn’t on my radar. “Honestly,” he said when asked about the rationale for the move, “it’d be totally speculative. No one ever tells you anything. The nuncio didn’t, so it’s purely speculative; I have to be clear. 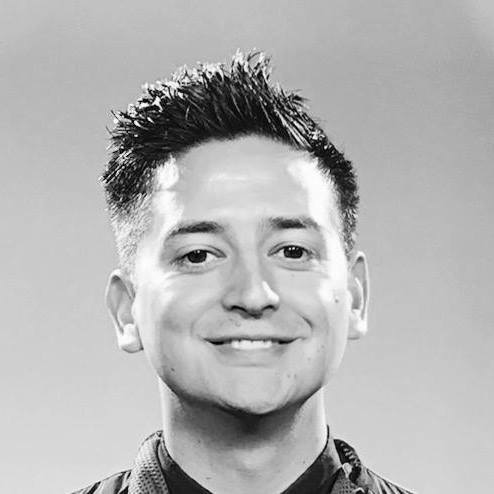 “Given my interest in media and evangelization and use of social media and all that, it would make a certain sense to send me to a cultural center, and certainly an entertainment and media center — I get that. Maybe people are thinking that. I don’t know. When news of the Barron appointment broke a year ago, many assumed that perhaps the “media bishop” was being sent out to evangelize Hollywood. Barron said no one has ever told him that’s part of the gig, but he’s taken it upon himself to try anyway. Barron also refutes speculation that he was made a bishop in L.A., not Chicago, because he had philosophical issues with Archbishop Blase Cupich of Chicago. Why? 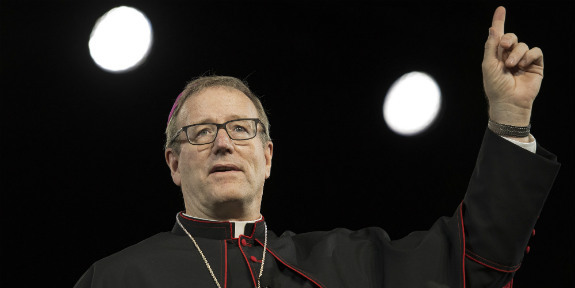 Let Bishop Barron tell you in his own words. I had the opportunity to meet and speak with Fr. Berrigan when he came to Mundelein Seminary in the mid 1990’s. By that time, he was in his seventies, and much of the fire-brand quality that so marked him in his prime had evanesced. I found him very quiet and ruminative. I asked him about the film The Mission, in which he played a small role. As you might recall, that great movie ends ambiguously. When the peaceful and religiously vibrant mission was being forcibly closed by corrupt powers, Robert De Niro’s character, a Jesuit priest, resisted violently, while Jeremy Irons’s character, also a Jesuit priest, resisted non-violently, holding up the Blessed Sacrament in the midst of his people. Since both men were killed, and the mission destroyed, the film doesn’t really decide which of them was “correct;” rather it shows two paths, and invites the viewers to make up their own minds. Well, I asked Daniel Berrigan what he thought of the ending, and he said, with a bit of a weary smile, that it reflected the director’s views not his own. I took him to mean that he didn’t fully approve of the unresolved tension between the two paths of resistance to evil, preferring a clear endorsement of non-violence. “It’s a Wonderful Life”: Frank Capra’s 1946 film, which begins and ends on a snowy night at Christmastime, is one of the holiday season’s most-watched films (largely due to it going into the public domain for many years and being run endlessly in syndication), but it’s also one of the darker Christmas tales. Jimmy Stewart stars as small-town savings-and-loan operator George Bailey, who, despite a loving wife and children, is frustrated at not achieving his globetrotting dreams. A reversal engineered by a rival puts him on the brink of suicide, and only an angelic intervention can save him. Surprisingly enough, this embrace of life was a box-office disappointment. Capra called It’s a Wonderful Life the greatest film he had ever made: “A film to tell the wary, the disheartened, and the disillusioned; the wino, the junkie, the prostitute; those behind prison walls and those behind Iron Curtains, that no man is a failure! To show those born slow of foot or slow of mind, those oldest sisters condemned to spinsterhood, and those oldest sons condemned to unschooled toil, that each man’s life touches so many other lives. And that if he isn’t around it would leave an awful hole. “Cinderella”: Bishop Barron is referring to Kenneth Branagh’s 2015 version of the classic fairytale, starring Lily James, Cate Blanchette and Richard Madden, which he feels exposes the Christian roots of the character. The tale has been in various cultures for the last two and a half thousand years and is very flexible and has had very many adaptations,” he agrees. “It was important for us to reinvent Cinderella and make her a more pro-active, more 21st Century character. Kenneth Branagh’s “Cinderella” is the most surprising Hollywood movie of the year so far. I say this because the director manages to tells the familiar fairy tale without irony, hyper-feminist sub-plots, Marxist insinuations, deconstructionist cynicism, or arch condescension. In so doing, he actually allows the spiritual, indeed specifically Christian, character of the tale to emerge. I realize that it probably strikes a contemporary audience as odd that Cinderella might be a Christian allegory, but keep in mind that most of the fairy stories and children’s tales compiled by the Brothers Grimm and later adapted by Walt Disney found their roots in the decidedly Christian culture of late medieval and early modern Europe. 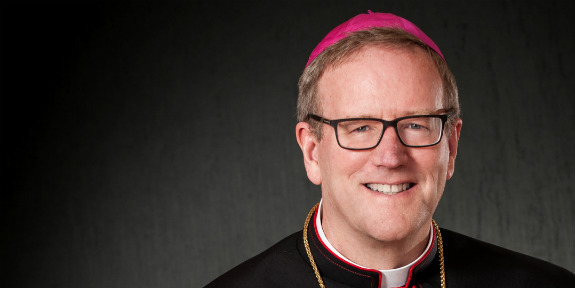 And now you have your very own Bishop Barron Film Fest! 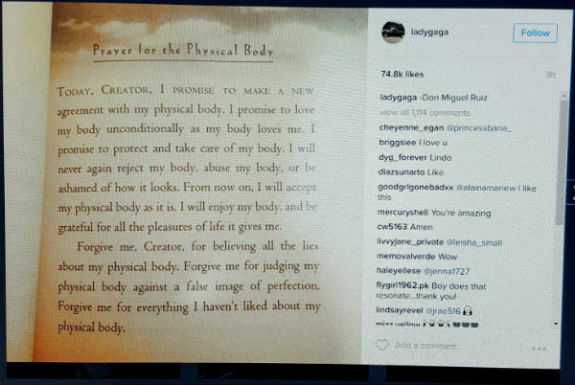 Is popular singer Lady Gaga a good Catholic? Are any of us? Ultimately, that’s for Someone Else to decide, but the question came to the fore this week, via social media. Born Stefani Joanne Angelina Germanotta, Lady Gaga was educated at Convent of the Sacred Heart, an all-girls private Catholic school on Manhattan’s Upper East Side. As Lady Gaga, she has carved out a niche in music with her voice, outrageous fashion sense and out-of-the-box live performances. In recent years, she made appearances, such as on the Oscars, where she toned down the look and showed off her truly stupendous vocal talents … such as this 2015 tribute to Julie Andrews. At the 2016 Oscars, her performance was dedicated to victims of sexual abuse — which includes Gaga herself. I was so moved today when you said, “The Eucharist is not a prize for the perfect but the food that God gives us.” — Father Duffell, Blessed Sacrament Church. 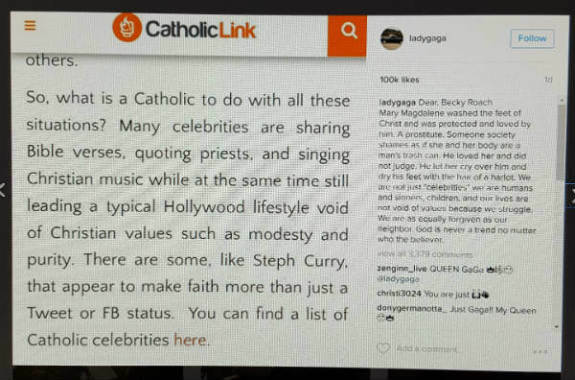 CatholicLink posted a response to this, addressing the more general question of celebrities that talk about their faith. Gaga saw the piece, excerpted part of it and responded, again via Instagram. Obviously, Gaga is misinformed about Mary Magdalene, who is not the same person as the woman who dried Christ’s feet with her hair (it’s a common misconception, even among Catholics). 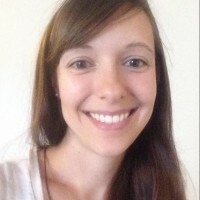 But the first witness to the Resurrection—as all four gospel writers agree—was a woman whose name and reputation have become so misunderstood, misinterpreted, and misconstrued over the centuries that she is more commonly, though erroneously, remembered as a prostitute than as the faithful first bearer of the Good News. That woman is Mary of Magdala and, finally, her centuries-old case of mistaken identity is being rectified. Now that scripture scholars have debunked the myth that she and the infamous repentant sinner who wiped Jesus’ feet with her tears are one and the same woman, word is trickling down that Mary Magdalene’s penitent prostitute label was a misnomer. Instead, her true biblical portrait is being resurrected, and this “apostle to the apostles” is finally taking her rightful place in history as a beloved disciple of Jesus and a prominent early church leader. But, considering Gaga’s history as an abuse victim, it’s easy to see how she resonated with the erroneous view of Mary Magdalene as a woman whom many would have disapproved of, but who became beloved of Christ. And her declaration that “God is never a trend” is a bold and accurate one. 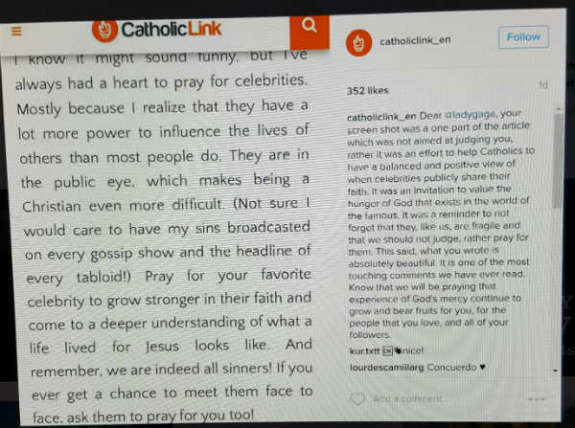 Dear @ladygaga, your screen shot was a one part of the article which was not aimed at judging you, rather it was an effort to help Catholics to have a balanced and positive view of when celebrities publicly share their faith. It was an invitation to value the hunger of God that exists in the world of the famous. It was a reminder to not forget that they, like us, are fragile, and that we should not judge, rather pray for them. This said, what you wrote is absolutely beautiful. It is one of the most touching comments we have ever read. Know that we will be praying that experience of God’s mercy continue to grow and bear fruits for you, for the people that you love, and all of your followers. So, what are we to make of this whole exchange? It’s much the same thing as the CatholicLink author pointed out — that celebrities don’t, by virtue of their fame, have special knowledge of God or special abilities to deal with their own issues over and above those of any other person. In some cases, it’s harder for them, since much of what they do is under the unblinking lens of public scrutiny. In a way, though, it’s enlightening to know that fame and great fortune don’t insulate a person from pain and suffering, so certainly those folks who don’t have these things know that they’re not the answer. Of course, God is ultimately the answer, and sometimes He’s harder to reach if you’re higher in the esteem of the world. But what celebrities do have is a platform and the opportunity to get a message out to thousands or millions of people — for good and ill. What Lady Gaga has done is open a window into her private struggles with body image, faith and other things, perhaps sparking conversations (like the one with CatholicLink) and a reexamination of conscience on both sides. In Catholicism, our true celebrities and heroes are popes and saints and holy people, not famous singers and athletes. But these are people we all know and hear about, so when they take the personal risk to speak kindly of faith in a generally unwelcoming public arena, it’s appreciated. And know that, each Friday, here at Family Theater Productions, we hold a Holy Hour for Hollywood, with prayer, reflection, Adoration and Benediction, including a special invocation for all the good work done in this town and for the conversion of the souls that labor within it. This Friday, I’ll add Lady Gaga’s name for special consideration. What prayers really work in Catholic families? How are you keeping your kids in touch with the Faith? What parishes are doing the right thing for families? What do your holidays look like, grace at your dinner table, your Holy Days of Obligation, your times of prayer, or when you’re just having fun together? In the previous blog post, we looked at a recent study about Catholic families — how they pray, how they worship, who they are, and what matters to them. We all know that there are many challenges facing moms, dads and kids in the modern world, stresses both internal and external. The entertainment industry has its own idea of what a “real” Catholic family looks like (which seems more like a stereotype from decades ago than anything recognizable from today). The problems are evident, but one way to fix problems to find out what’s working well, so that it can be shared with others. So, we’d like to do our own informal survey to learn the good news about Catholic families today. Using the email address FTPSocial@familytheater.org, send us a short comment on what’s great about your Catholic family (100 words or less) and a photo if you have one. We’ll then take some of the best entries and showcase them in a future blog post. Everyone knows what’s going wrong; we’d like to know what’s going right. Can’t wait to hear from you. Please respond by March 31. 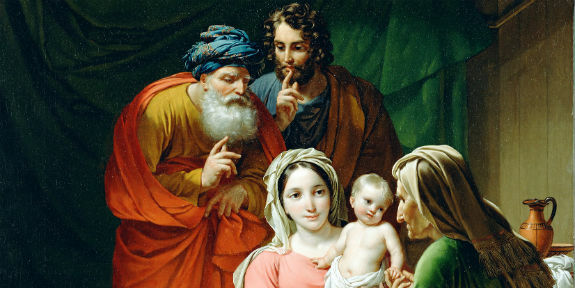 Image: The Holy Family, by Belgian artist Joseph Paelinck, circa 1820, courtesy Wikimedia Commons.